When is the Best Time to Peek at Your Baby? Drinking the recommended amount of water or clear non-caffeinated beverages is best for creating amniotic fluid in the baby’s sac. This fluid creates contrast and fluid space, giving the best images possible. Caffeine is dehydrating will increase cloudiness of the amniotic fluid. Having a full bladder will help to push tissue out of the way of the uterus and will create an “acoustic window”. Also, the bladder fluid helps transmit the sound beam resulting in clearer, less fuzzy images. 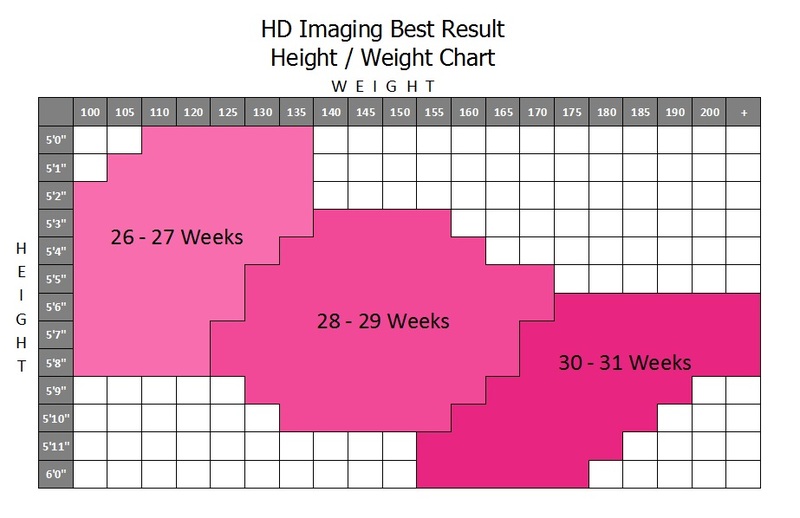 Some barriers to good images are: loose skin, mom’s body composition, baby’s position, placenta position, lack of bladder fullness. You may want to drink some cold apple or orange juice 10-15 minutes prior to your appointment to get baby moving. It’s always easier to image a moving baby than one that is in a bad position and asleep or not moving. Everyone wants great images, but sometimes moms don’t realize that you have to drink your physician’s daily recommendation of water consumption (typically half your body weight in ounces of water per day) to achieve good vivid images. And if you don’t, you will most likely not get good vivid images. Regardless of great images, physicians recommend that you drink this water for proper lung development for your baby. This is very important. And there is nothing more frustrating to our sonographers when they know they could have gotten good images for a mother if only she had been drinking their water goal. 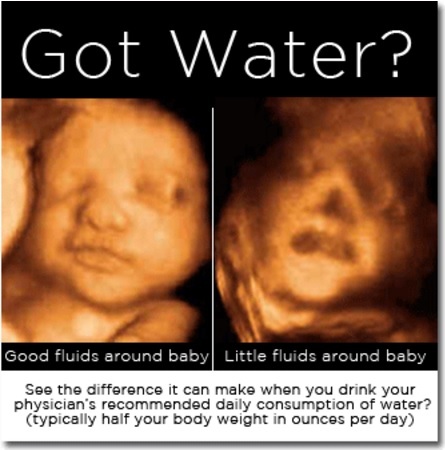 So please drink your water goal for your baby and for your images. Best viewing times are different for every mom. Several factors need to be considered. Check out the video we created for more information.